Georgina’s continued growth and achievement at school is all thanks to her hard work and determination. In 2018 Georgina with the help of her ARTIE Academy Education Coordinator made the conscious decision to improve her behaviour while at school and reduce her number of OneSchool referrals. Georgina has always demonstrated great attendance however at times has been unsuccessful in ARTIE Academy Attendance Challenges due to being suspended. In the first half of 2017 Georgina received 34 OneSchool referrals as well as 4 suspensions. So far this year Georgina has been able to significantly decrease her number of referrals by over 70%. 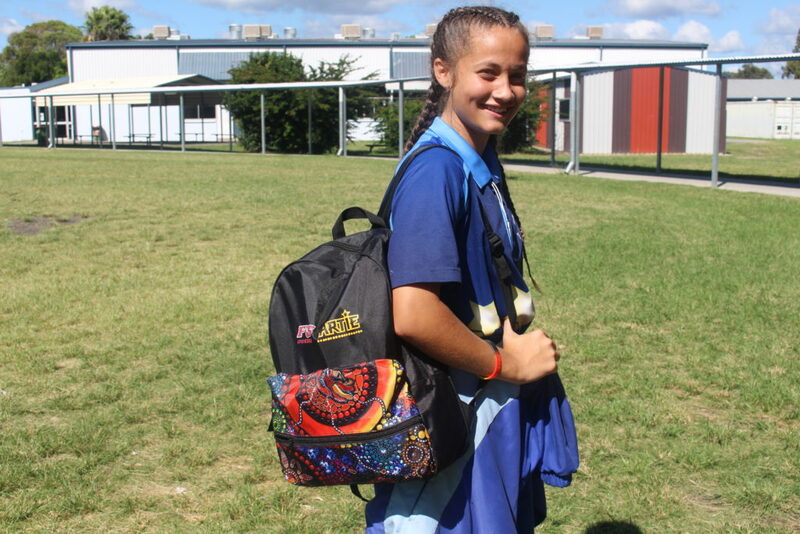 This in turn has been reflected in her perfect attendance where she was rewarded with her ARTIE Hoodie in Term One and is well on track to receiving her ARTIE Backpack in Term Two. Keep up the great work Georgina, we can’t wait to see you receiving your ARTIE Academy Challenge Rewards in Term Three and Term Four!